Looking for an alternative to Postman? The Assertible dashboard is designed to model your real-world web services and makes it simple to understand the health of an API or website at a glance by visualizing endpoints, results, and metrics in a single view. 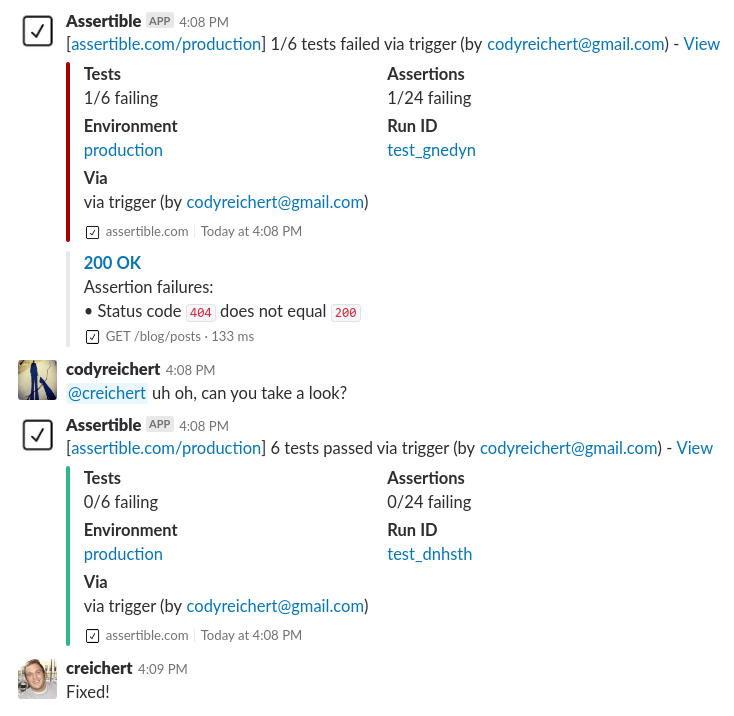 Assertible has reliable built-in assertions based on RESTful API testing best practices to help your team quickly get the job done and reduce the test maintenance burden. 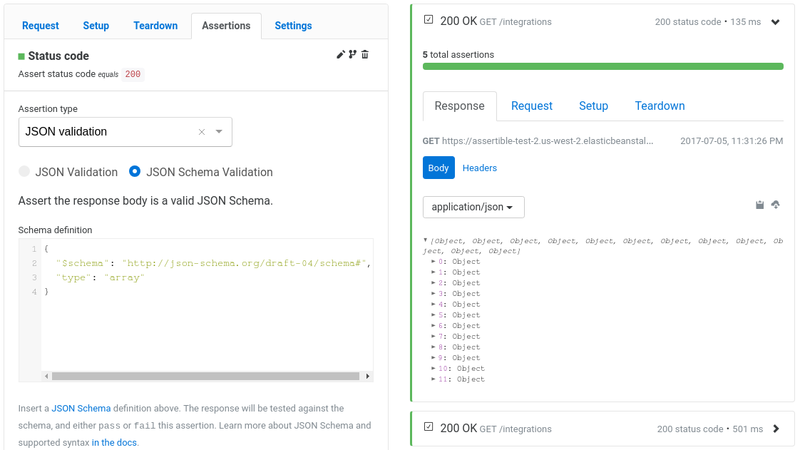 Be more productive by using Assertible's flexible suite of assertions for testing REST APIs, validating HTTP status codes, header content, JSON schemas, nested JSON data, and more with zero code. 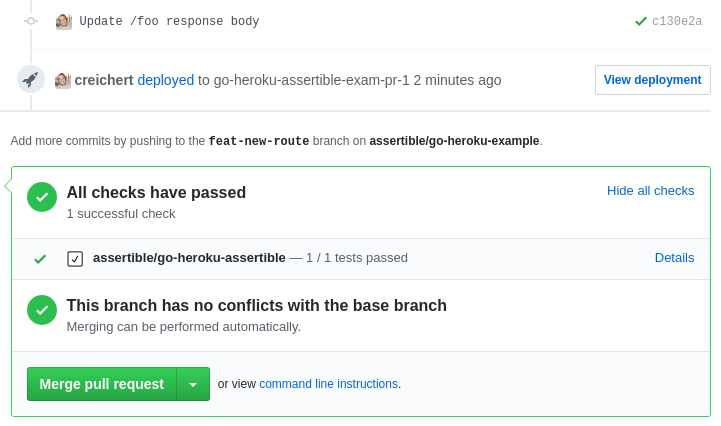 Looking for more reasons to use Assertible? Check out this comparison of Assertible and Postman. Postman's automation options are not included in the core product and require manual external integrations or paid accounts to experiment with basic monitoring and continuous integration automation. 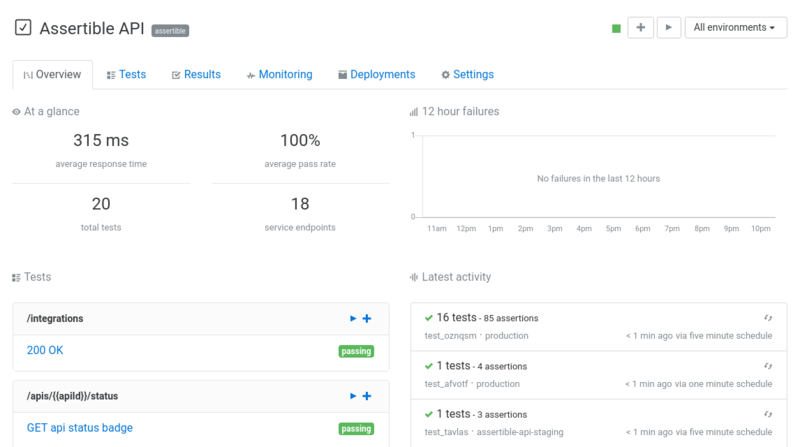 Build the ultimate quality assurance pipeline for your web service using Assertible in your DevOps workflows.